the foundation of all human life. tools for learning to live and relate. Your face is most amazing…one of a kind…from which you see, hear, smell, taste the world beyond you. Your face is also most expressive, where you give voice, where you become visible to others. When we go through a family photo album, we search for our own face as if to see who we are and who we are with. Our face is our window to the world through which we see and are seen. We see our face not just in a mirror but in the faces of others with whom we interact. How we see ourselves as we see others, and how we think others see us…. This is what life is all about, how life is lived when we are face-to-face. We are face to face whenever we have mutual perceptual contact and reciprocal behavioral connection for which there are immediate consequences. More to the point, we’re face to face whenever we’re close enough to be hugged or close enough to be hit…immediately. When we’re face to face it all happens so fast (in microseconds), at so many levels of our experience. When we’re face-to-face, we draw upon our past experiences for better or worse and anticipate what will happen next. When we’re face to face, our past unfolds in the present and projects into the future. When we are face to face, our perceptions are indeed reality, the only reality we got at that moment in time. Our face-to-face interactions are the leading edge of our lives, the culmination of our pasts, and gateways to our futures. And it’s been going on from birth, when we were first seen by our parents and first opened our eyes. Here is the core of human life, the make or break point of life, of our relationships, where we learn from and about each other. 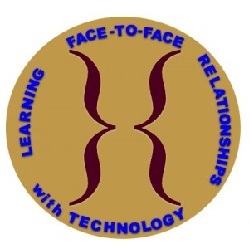 So here we put face-to-face interaction front and center, the site of relationship learning. Looking at the world this way is no small thing, because it focuses on what actually happens, where it happens, to whom it happens….it focuses on what human beings actually do to and with other human beings. In other words, how people treat people. This has been the focus of the major religions and philosophies of the world throughout the history of humankind. This focus takes on new urgency today when humankind engages new technologies that present great opportunities, dangers, and challenges. For over 40 years I have been using a camera as a psychologist to understand myself and others. Why? Because I need to see to understand, to visualize the parts and the whole, to see for myself. Most of my professional life has been serving people face to face where everything depended on how we were able to relate to each other. This was often not an easy task for all of us, especially when we were struggling with mental illness, sexual abuse, chemical dependency, racism, torture, social class, gender, and considerable cultural differences between us. Eventually I learned to relax and listen and learn. There’s a great deal of research been done not only on counseling but also on many forms of human service, and the one dominant finding is that it all comes down to relationships. What this means is that I am not the only party in the relationship, and my effectiveness is dependent on my ability not just to give but to receive, not so much to speak but to listen. When I turned the camera on, who was I going to observe? If relationships are so important, how do you observe a relationship? Who’s the observed and who’s the observer? With the help of many people, I learned how to learn, how to engage and get engaged, and this became possible when I applied technology to see what I could not see alone. To grasp this technology requires an understanding of the other three facets: learning, face-to-face interaction, and relationships. Reactions to this technology have been mixed, including people asking me “why bother?” to “right on!” and over the years the consensus seems to have shifted to the latter. One of the first persons who helped me, an engineer at the University of Minnesota Hospitals, described this technology as “a solution in search of a problem.” Well, as it turns out, there are problems aplenty. So, let’s go!